Divas nominated posthumously for Nov. 8 award show to be hosted by Cedric the Entertainer. Singer/actress Whitney Houston passed away February 11, 2012. The 2012 Soul Train Awards seek to honor music's top acts--even those who are no longer with us. 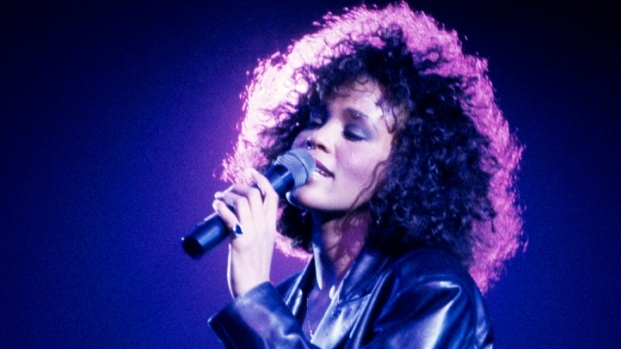 On Wednesday, Whitney Houston and Amy Winehouse both received posthumous nominations this year's awards. Houston's collaboration with Jordin Sparks on "Celebrate" is up for Best Gospel International Performance, and Winehouse's song "Our Day Wil Come" is up for Best International Performance. Other notable nominees include R. Kelly, whose two nominations this year bring him to six noms total, the most in Soul Train Awards History. Usher also made Soul Train Awards history with five nominations, surpassing both Michael Jackson and Beyonc for total nominations in a lifetime. Hosted by Cedric The Entertainer, the Soul Train Awards will be held Nov. 8 at Planet Hollywood in Las Vegas and aired Nov. 25 at 9 p.m. on BET and Centric. Below is a complete list of this year's Soul Train Awards nominees. Best Gospel/Inspirational Performance: BeBe Winans, "America America"; Fred Hammond, "I Feel Good"; Marvin Sapp, "My Testimony"; Mary Mary, "Go Get It"; Whitney Houston and Jordin Sparks, "Celebrate"
Best Hip-Hop Song of the Year: 2 Chainz feat. Drake, "No Lie"; Wale feat. Miguel, "Lotus Flower Bomb"; Nas, "Daughters"; Kanye West feat. Big Sean, Pusha T and 2 Chainz, "Mercy": Young Jeezy feat. Ne-Yo, "Leave You Alone"
Album of the Year: Eric Benet, "The One"; Frank Ocean, "Channel Orange"; Nas, "Life Is Good"; R. Kelly, "Write Me Back"; Usher, "Looking For Myself"
Song of the Year: Estelle, "Thank You"; John Legend feat. Ludacris, "Tonight (Best You Ever Had)"; Trey Songz, "Heart Attack"; Tyrese, "Stay"; Usher, "Climax";Wale feat. Miguel, "Lotus Flower Bomb"
Best Dance Performance: Beyonce, "Love On Top"; Chris Brown, "Turn Up The Music"; Nicki Minaj, "Starships"; Rihanna, "Where Have You Been"; Usher, "Scream"
CENTRICTV.com Best Caribbean Performance Cover: Drive, "Bajan Style"; Damien "Junior Gong" Marley, "SuperHeavy"; Jimmy Cliff, "Rebirth"; Matisyahu, "Spark Seeker"; Sean Paul, "Tomahawk Technique"
CENTRICTV.com Best International Performance: Amy Winehouse, "Our Day Will Come"; Daley feat. Marsha Ambrosius, "Alone Together"; Emeli Sande, "Next To Me"; Estelle, "Thank You"; Gotye feat. Kimbra, "Somebody (That I Used To Know)"; Rebecca Ferguson, "Nothing's Real But Love"
CENTRICTV.com Best Traditional Jazz Artist/Group: Chris Botti, "Impressions"; Kenny Garrett, "Seeds From The Underground"; Melody Gardot, "The Absence"; The Robert Glasper Experiment, "Black Radio"; Tony Bennett, "Isn't It Romantic"
CENTRICTV.com Best Contemporary Jazz Artist/Group: Ben Tankard, "Full Tank"; Cassandra Wilson, "Another Country"; Esperanza Spalding, "Radio Music Society"; Peter White, "Here We Go"